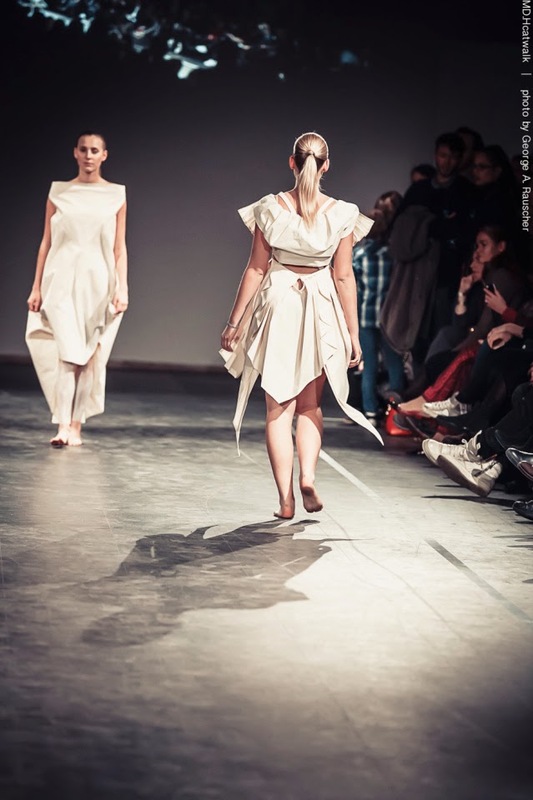 My draped 'Trinity Dress' out of mold from the 2nd semester was part of the MD.H catwalk in January. The show was set in 'Haus der Kunst' in Munich. The presentation of the mold dresses from my year was designed pure and plain going with the fabrics: the models were barefooted and pure made up. Here you can read details about my dress. Above you see me (2nd in the row) beeing on the catwalk as a designer at the end of the show.